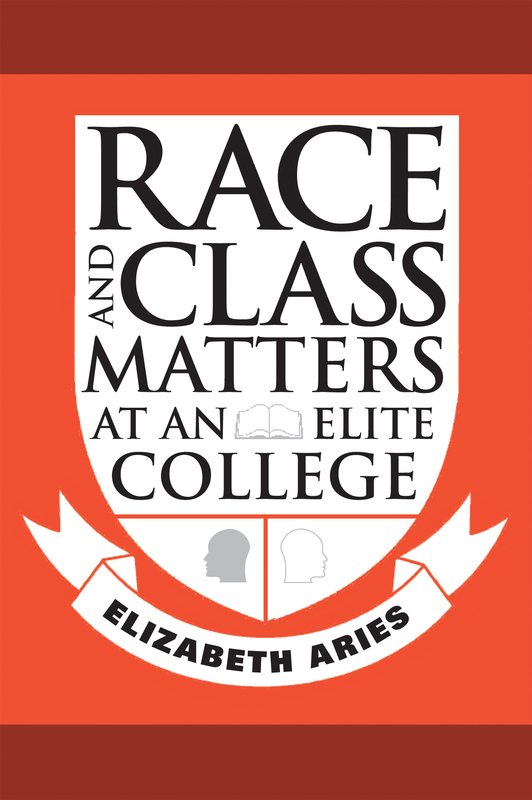 This week in North Philly Notes, Elizabeth Aries, author of Race and Class Matters at an Elite Collge and Speaking of Race and Class, looks at the potential impact of the outcome of Fisher v. University of Texas at Austin, which considers race as a factor in a university’s admissions process. There is much at stake in the case of Fisher v. University of Texas at Austin, which came before the Supreme Court last week. The Court will determine whether universities can legally continue to consider race as one factor in their admissions process. If they are not allowed to do so, the racial and ethnic diversity of students on our campuses will diminish, as will the educational benefits that ensue from having a diverse student body. 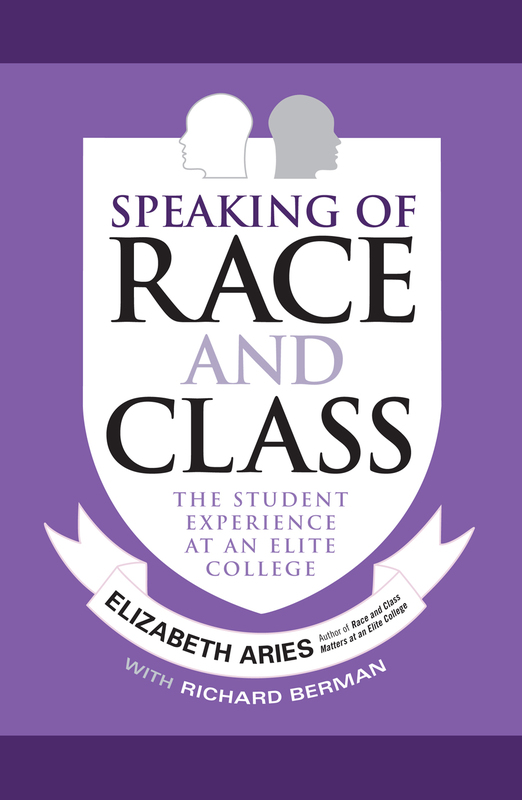 My books, Race and Class Matters at an Elite College and Speaking of Race and Class have focused on those educational benefits. I illustrate what, if anything, students actually learn from being with classmates of different races and social class backgrounds inside and outside the classroom. For both books, I followed a group of black and white students, both affluent and lower-income, over their four years at a liberal arts college, interviewing them at three points along the way. The educational benefits of diversity are real and they are important. Many students come to college from segregated communities and high schools, having acquired widely held racial and class-based stereotypes that persist unchallenged without contact with the people they have stereotyped. College can provide students with the opportunities to get to know and understand classmates not of their race and/or class, to have their stereotypes and world views challenged, to see the world through a new lens. The majority of white students in my study entered college having thought little about race or its consequences for peoples’ lives. Some never thought of themselves as even having a race. Some came to campus believing racial discrimination was a thing of the past, having never personally observed it. But as white students made friends with black classmates, and heard about friends’ encounters with prejudice and discrimination, they recognized that racial discrimination is still a reality. Those who had been taught a color-blind philosophy, taught not to think that race even really exists, found it shocking and upsetting to learn from minority friends about their experiences with prejudice and discrimination, and came to understand that race affects the experiences and opportunities people have. Over their years at college cross-race relationships led many white students to think more about race and racism and to become aware of their white privilege. Racial stereotypes were undermined as white students discovered the diversity within the black student community on campus – the great variability in language, tastes and preferences, in social class, religion, or identification as Caribbean American, African American or African. Given this diversity, it was hard for white students to hold on to the notion that blacks were poor, lived in the inner city, dressed in baggy clothes, spoke Ebonics and listened to rap music. Many students came to realize their racial stereotypes were incorrect and limiting. Bringing students to campus from widely discrepant economic backgrounds also produced important learning. Students did not fail to notice what classmates had and did not have, not only in terms of material possessions, but in terms of the opportunities they had to go out to eat, take spring break trips, to make connections to pre-professional summer jobs and to good jobs after graduation. Many affluent students who had grown up in the bubble of their affluent communities had been unable to see outside that world. Some considered themselves to be “kind of poor” because their families lacked the extreme wealth of others in their communities. Friendships with lower-income students made them aware of just how privileged their families were, gave them a deeper awareness of class inequalities, of their own unearned privileges, and of the important role social class plays in shaping people’s lives and opportunities. Many lower-income students entered college with extremely negative stereotypes about the wealthy, seeing them as arrogant, spoiled, snobby, entitled, exclusive, as all about showing off their wealth. Through relationships with affluent classmates they, too, recognized that many students did not fit their stereotypes. Colleges and universities educate students who will become our future leaders. If we, as a society, value equity and social justice for all citizens, we must produce leaders who have had their stereotypes challenged and are able to understand the world from perspectives different from their own. The impending Supreme Court decision may well reduce the opportunity for this kind of learning to occur. Hal Gullan, author of Toomey’s Triumph published this Op-Ed piece in the October 17, 2012 issue of The Philadelphia Inquirer to acknowledge the passing of Pennsylvania Senator Arlen Specter. I was thinking of Arlen Specter while watching this year’s first presidential debate, reflecting on how rarely these gaffe-avoidance exercises actually change anyone’s preconceptions. The most one-sided political debate I’ve ever seen was during Pennsylvania’s Democratic primary for U.S. Senate in 2010. Specter, the longtime incumbent, simply demolished his challenger, that seasoned old salt Joe Sestak. Specter was by turns the folksy Arlen, recalling his reverence during his modest Kansas upbringing for Franklin D. Roosevelt, the inspiration for his public life – well, that and symbolically getting his father the bonus promised for his service in the First World War – and the “snarlin’ Arlen” who would reach for the jugular of any opponent, whatever his or her age or gender. Specter all but challenged his younger opponent (as most were at that point) to “take it outside.” One could appreciate that debating was his sole extracurricular emphasis at Penn. Oddly, it was Sestak’s standing in the polls that rose almost immediately thereafter. Apparently, no one had actually watched the debate or cared about it. Like many athletes, politicians often stay just one season or one term too long. For that matter, Specter was always better suited to general elections than to primaries. After all, he was a birthright Democrat turned Republican turned Democrat again – some 44 years later. Thomas E. Dewey once observed that no one should seek public office who could not earn more elsewhere. I first met Specter when, as the graduate of a prestigious law school, he went to work for the old-line Philadelphia firm then called Barnes, Dechert, Price, Myers & Rhoads. He was likely its first Jewish associate, arriving around the time of its first female associate. Arlen was amiable enough, but he soon left to join the District Attorney’s Office: The long road to respectable liquidity wasn’t for him. Reasoning that, after all, both major parties still had big tents, he accepted Billy Meehan’s invitation to run for D.A. as a Republican. He won handily, and by all accounts ran a highly effective, vigorous, and nonpartisan office. Public service would be his vocation from then on. He was reportedly difficult to work for, but no less demanding of himself. Over the years, few may have viewed him as particularly lovable, but no one doubted his intelligence, thoroughness, grasp of the law, or sheer tenacity. To me, Specter’s finest moment was one of the few races he lost. Far more people remember his still-controversial single-bullet theory or his extraordinary contradictions as the longest-serving senator in our state’s history, having savaged Robert Bork and Anita Hill with equal ferocity. But my bittersweet memory is of his campaign for Philadelphia mayor in 1967, the only one I ever volunteered for. Although running as a Republican, Specter assembled a remarkable team of reformers from both parties and neither. Unfortunately, his opponent, the amiable but uninspiring James H.J. Tate (popularly called “Hesitate” for his inactivity), simply lucked out. His timely promotion of parochial schools and vocal support for Israel in its moment of greatest peril supplemented his unqualified guarantee, in a law-and-order climate, that he would retain the popular police commissioner, Frank Rizzo. Specter just said he would keep everyone who was doing a good job, and he and his entire slate lost by a whisker. They would have changed the future of Philadelphia. How, in the end, to define Arlen Specter? The best word, like the life itself, is inexplicable. Over his unprecedented Senate tenure, he stuck laudably and consistently with some causes, such as civil and women’s rights. In other areas, his views were remarkably variable, at no time more than after he returned to the Democratic Party in 2009. He may have been “moderate” in many of his positions, but he was not in his ambition. Of course, in this he was hardly alone. In 1932, Roosevelt campaigned for a balanced budget. In personal terms, how can anyone fail to admire Specter’s courage? After so much illness, he stayed tirelessly on the job and prided himself on visiting every one of Pennsylvania’s 67 counties every year – and still played squash regularly. I can testify from experience that there is nothing more therapeutic than bad tennis, but there is no such thing as bad squash. If you’re not fast enough, you will simply miss the ball. I will miss Arlen Specter in our public life. We will not see his like again. As election season heats up, Judge James P. Gray, author of Why Our Drug Laws Have Failed and What We Can Do About It, took some time out of his campaigning to answer questions about running for Vice President of the United Staes on the Libertarian Party ticket. What prompted you to run for Vice President on the Libertarian Party ticket with nominee Gary Johnson? Based upon his stature, courage, and accomplishments as a two-term governor of New Mexico, for a long time I had been calling Governor Gary Johnson the most qualified person to be president that I knew of. So when he asked me to be his running mate, what was I supposed to say? What can your running mate do to help the country and what will you do to help him achieve that goal? Our country is in serious trouble on numerous fronts. Taking just three of them: the economy, jobs and education. President Obama and Senator Romney are spending hundreds of millions of dollars on TV ads, and not talking about their records – because they can’t – nor about their ideas – because they almost literally don’t have any – but instead spending all this money showing how inept the other one is – and we agree with both of them! Today of every dollar the federal government is spending, we are borrowing 43 cents! That is simply not tenable! We will submit a balanced budget to Congress in 2013. This so-called radical budget of Paul Ryan will not balance the budget for 28 years. We will conduct an audit of the entire federal government, and reduce spending on programs and agencies that are not giving value for our tax dollar. Similarly, we will repeal the income tax, which will make our products – both manufactured and agricultural – more competitive with other goods around the world. With that result, companies will bring their manufacturing back to the United States. In effect we will have a reverse outsourcing of jobs. Regarding education, we will empower parents to control where the government’s money is spent on the education of their children. As such, they will demand excellence. This program is now working famously well in Milwaukee and New Orleans, and it will work in the rest of the country under the leadership of Governor Gary Johnson as well. Your platform involves balancing the budget, rethinking education, extending civil liberties, developing a plan for legal immigration, reforming health care, and environmental protection issues. How do you feel your approach to these issues differs from the other candidates? In so many ways, like set forth above, Romney and Obama are the same. We come at Obama from the left, because we would repeal the so-called Patriot Act, the National Defense Authorization Act, and the pattern of flying drones over our towns and cities to monitor citizens without a judicial warrant. And we come at Romney from the right, because we really would reduce the size, cost and intrusion of the federal government. The choice between Romney and Obama, on the one hand, and Governor Gary Johnson on the other, is stark. One of your major platforms is reforming drug laws, which was the subject of your Temple University Press book, Why Our Drug Laws Have Failed…. How have drug laws been less effective in the time since your book was published? 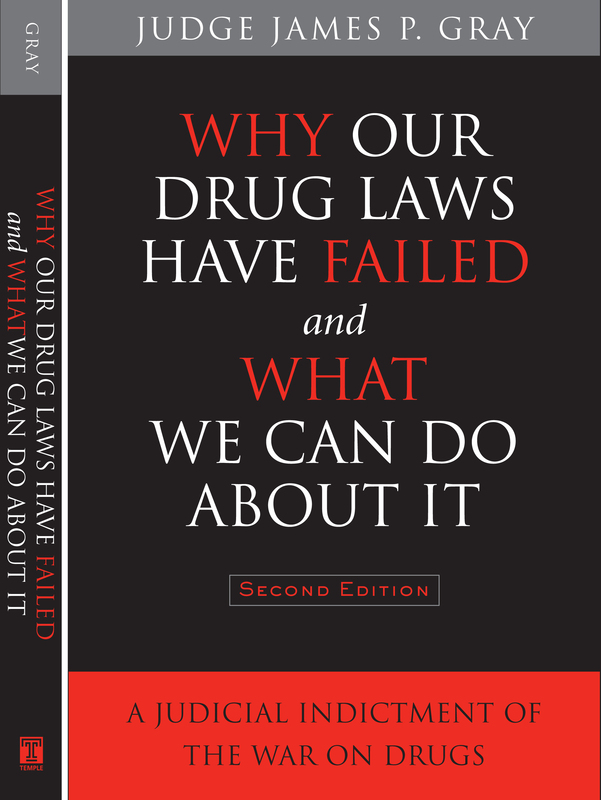 When I first published my book in 2001 I was convinced that we would change our failed and hopeless policy of Drug Prohibition if only we could legitimize the discussion, and that my book would contribute to that discussion. Honestly I believe that the book has, but today in 2012 we are in a much worse position than we were 11 years ago: more drugs in our communities, more people in prison, more deaths from the drug violence, more deaths from lack of quality control, and on and on. There is simply no question that eventually we will come to our senses and hold adults accountable for their actions, but stop attempting to hold them accountable for what they put into their bodies. But until that day, we will continue to make the situations worse at all levels of our lives. How do you feel your work as a Superior Court Judge from Orange County qualifies you as a Vice Presidential candidate? Honestly, there is no doubt in my mind that I am more qualified than any other of the candidates for Vice President. I will be the first person to be elected to national office who was a Peace Corps Volunteer. I am the only one of the six of us running for president or vice president who has served in the military. And I am the only one who has been a federal prosecutor and a judge for 25 years. Similarly, Governor Gary Johnson has more administrative experience than both Obama and Romney combined. We are the most qualified team by far, and it is frustrating that, so far, we could not even be a part of the debates. You and Gary Johnson are on the ballot in 47 states and the District of Columbia. How/where will you get media coverage over the next month leading up to the election? Getting coverage from the mainstream media is one of the most difficult parts of our campaign. Why is hard to figure out. But it is best illustrated by the time in about September when Jessie Ventura was being interviewed live on CNN when he endorsed Governor Gary Johnson for President. When CNN put the interview on its website, they deleted the endorsement. But slowly we are making progress, and if people demand that we get coverage, we are sure eventually it will happen. Will you be touring America? Where can people see/meet you and/or Gary Johnson? You and Gary Johnson are challenging the Republican/Democrat Status Quo. What disappoints you about Republican/Democrat discourse? As Libertarians we believe in honest competition. That is what frustrates us the most about the Republicans and Democrats, because they don’t. For example, the Republicans have traveled all around the country challenging our qualifications to be on the ballots. So far we have successfully repelled their challenges, except in the State of Michigan. And overall it is the voters and the country that will suffer for this action. What would we do in office? We would balance our budget, because a weak economy is the biggest threat to our security. We would repeal the income tax and bring back millions of jobs to our country, as stated above, we would keep our loyal troops out of military conflicts unless our genuine national interests and security were to be threatened, and we would repeal these threats by our own government to our freedoms and our liberties. We care about our great country, and will reverse the process of prosperity, equal opportunity and freedom slipping from our grasp. The alternative is to give up, and that will simply never happen! In this blog entry, Stephanie Kane, author of Where Rivers Meet the Sea, provides her thoughts about the world’s water crisis. Muhtar Kent, President and CEO of Coca-Cola, and Dean Kamen founder of DEKA Research & Development Corp, televised their plan for sorting out the world’s water crisis on Charlie Rose’s program September 27, 2012. They were followed by Gary White and Matt Damon of water.org who are also working to extend access to potable water. Impressive as all this may seem, I’ve got to spin out an alternative scenario. For a moment, put aside the video image of Africans laughing with pure joy as they fill their containers. Imagine instead, yourself, living in a coastal village in the year 2015, after the Coca-Cola-DEKA plan has been rolled out. All the rivers, wells, wetlands, and seashore have been poisoned by toxic industrial waste and sewage. But no matter! Bring your bucket to the red and white repurposed shipping container emblazoned with corporate logos in the new town square. Never mind sophisticated energy technologies (solar panels, biofuel converters, batteries) that run the water distillery. All you need to know about are the two hoses: You can take one hose and stick into the chemical waste pond from the local industry that pollutes with impunity and then take the second hose and put your plastic container under it to collect clean water. It doesn’t matter how poisoned the source is because the new technology is as good as nature, just like water from clouds. And since there is no point fishing anymore (no fish) or farming (rice poisoned by arsenic), you can hang out at the container, watch TV, and recharge your cell phone: a one stop technology center brought to you by corporate beneficence and facilitated by your government and international NGO’s. Like the proverbial magic bullet, this “slingshot” technology, named after David’s mythically effective use of a simple technology to bring down Goliath, soothes concerns about the aquatic environment. Who cares? We can go on living without guilt because innovation and corporate goodwill have produced a vision of reality that does not require the extension of municipal infrastructure to treat and deliver potable water through pipes into home or to collect and treat sewage. Nor in this vision do we need to sustain healthy ecologies. Water is essential for life and so is the Coca-Cola corporation. The basic problem is not about the usefulness of this technology. I’m sure it can be useful in many circumstances. Indeed, using corporate distribution networks for the public good is not in itself problematic. (Is it?) The basic problem is the definition of the global water crisis: it is not simply about expanding access to potable water through technology and infrastructure. 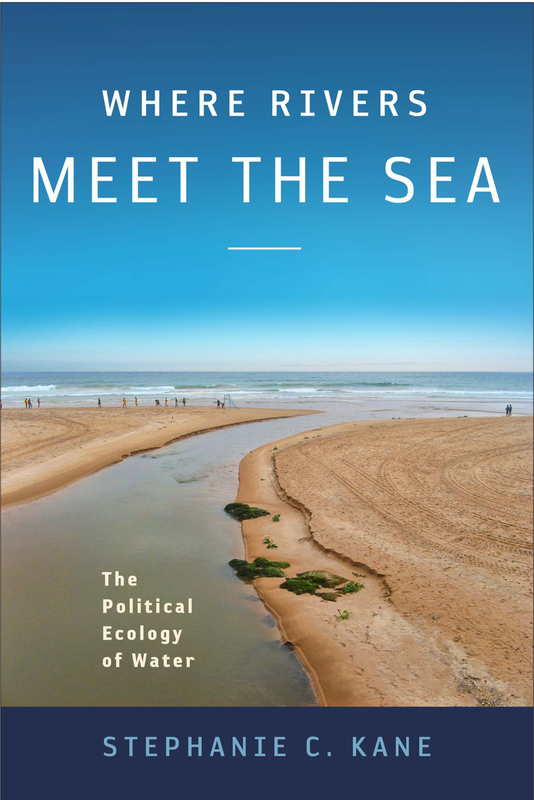 The crisis, if we want to organize ourselves by this metaphor, is part of the larger, more complex environmental question: how do we transform our ways of life to protect and preserve water habitats, the very water habitats out of which we will draw our drinking water? Are you OK with sticking a hose into a disgusting toxic pit to get drinking water? I’m not. I don’t want an “ecosystem for life” that comes from Coca-Cola. Do you? I want to be a living being surrounded by an ecosystem (wherever I happen to be located on the planet), not a consumer of ecosystem products.